The Living Legacy website is an online memorial where your family can upload your favorite photos, share stories and memories, and turn all those memories into lasting treasures. In addition to your close family members, all visitors to your loved ones Living Legacy website are encouraged to upload their own photos, as well as leave written memories, tributes and condolences to your family. Imagine the possibilities! Overtime, your loving friends and family continue to upload photos the family has never seen before and to share stories your family has never heard. 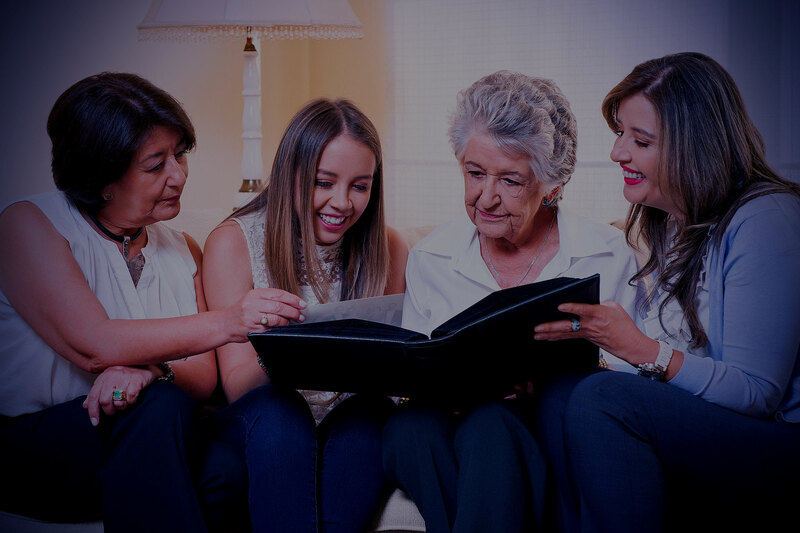 Imagine the impact on generations to come as they learn about the amazing character of your loved one, read about your cherished memories and see pictures that most likely would have been lost as the years go by. The Living Legacy website is like having unlimited, digital access to grandpa’s attic to explore trunks of memories that live online forever. "I think loss of loved ones is the hardest blow in life." $249 One Time "Forever Fee"
Once your order is processed, we will send you an email with information on how to create your Living Legacy website. If you have any questions, please email our Care Corps Team at WeCare@MyMemoriesLive.com and we'll be happy to guide you every step of the way.